Machi being fitted with satellite transmitter in August, 2009. Photo by Bart Paxton. (Williamsburg, VA)—Scientists at the Center for Conservation Biology learned today that a whimbrel that they had been tracking via satellite for 2 years as part of a migration study had been shot by a hunting party this morning on the Caribbean island of Guadeloupe (French West Indies). The bird named “Machi” had just flown through Tropical Storm Maria and made landfall on Montserrat before flying to Guadeloupe. 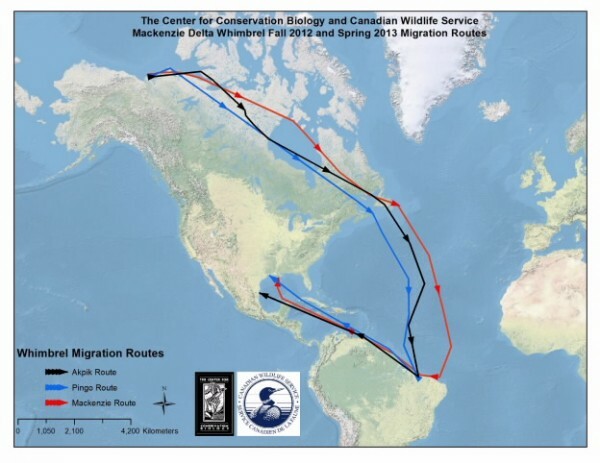 Machi had been tracked for over 27,000 miles (44,000 km) back and forth between breeding grounds in the Hudson Bay Lowlands of Canada to wintering grounds on the coast of Brazil. The bird was tracked on 7 nonstop flights of more than 2,000 miles. 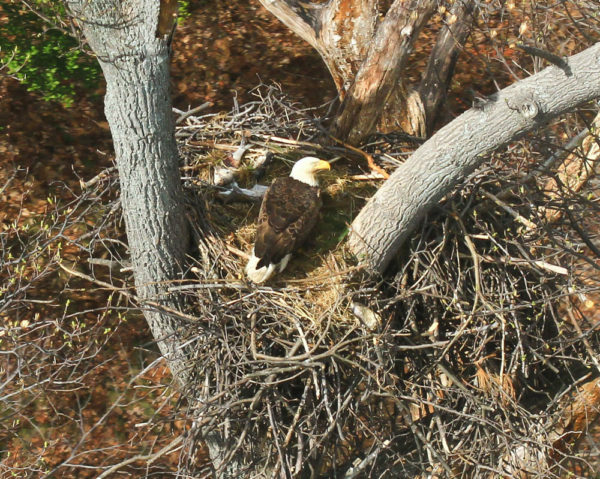 During the spring of 2010, Machi flew more than 3,400 miles directly from Brazil to South Carolina. Machi serves as an example of birds that interact with many landscapes and cultures throughout the year and a reminder of how international cooperation is required for their continued existence. Guadeloupe, Martinique and Barbados continue to operate “shooting swamps” some of which are artificial wetlands created to attract migrant shorebirds for sport shooting during fall migration. It is estimated that tens of thousands of shorebirds continue to be taken annually by hunting clubs on just these three islands. This practice is a throwback to more than a century ago when gunners hunted shorebirds throughout the Americas. The Migratory Bird Treaty Act was passed, in part, to protect dwindling numbers of birds that migrate across country borders. Operated as a French overseas department, both Guadeloupe and Martinique are part of the European Union and are not party to the Treaty. Barbados, once a British colony is now an independent state and also not party to the Treaty. 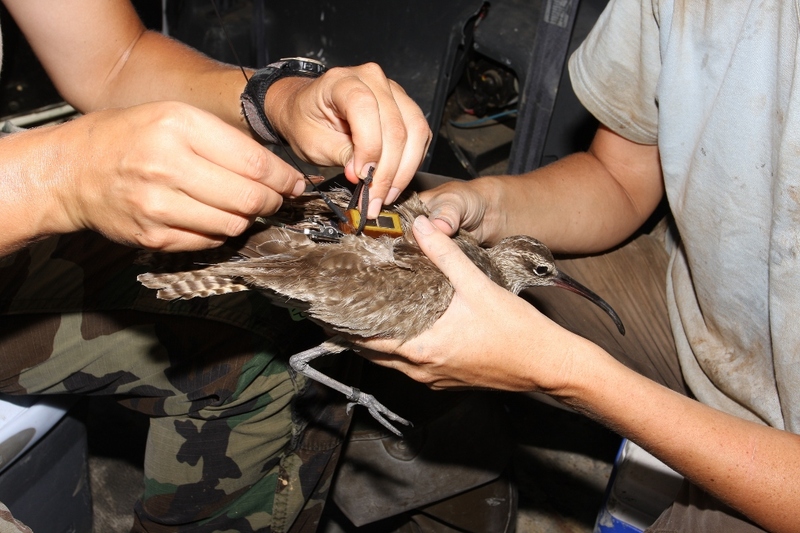 The last Eskimo Curlew known to science was shot on Barbados in 1963. Shorebird hunting within these areas continues to be unregulated to the present time. Conservation organizations continue to work toward some compromise that will reduce pressures on declining species. 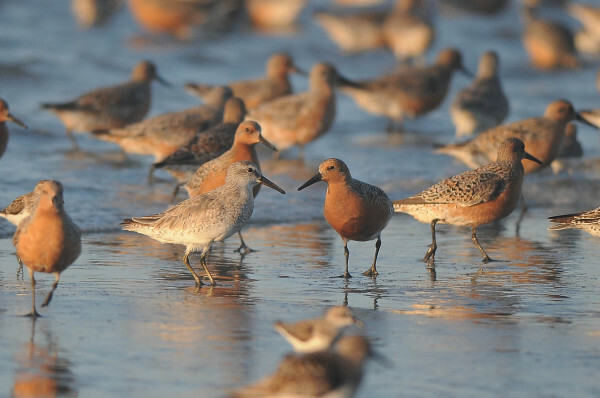 Worldwide, many shorebird populations are experiencing dramatic declines. 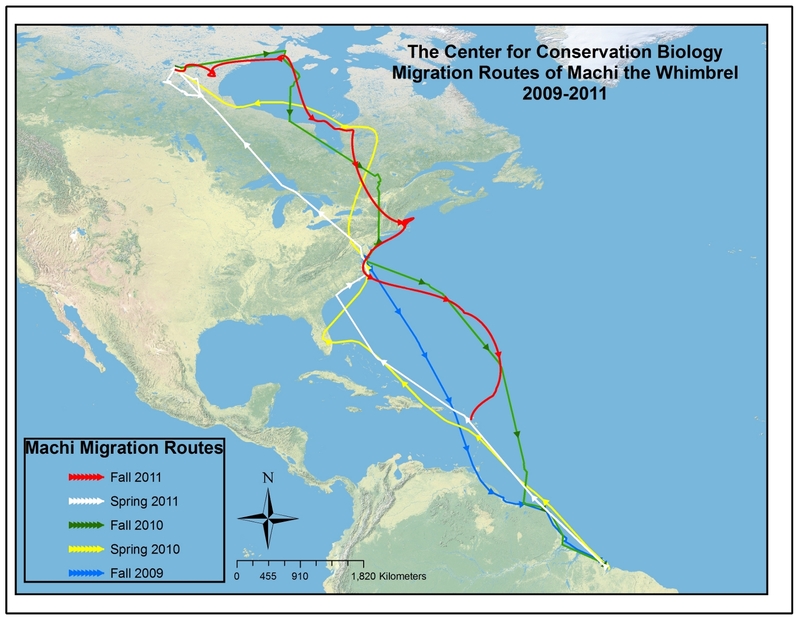 Most of the migratory shorebird species breeding in eastern North America and the Arctic pass over the Caribbean region during the late summer and early fall on their way to wintering grounds. When they encounter severe storms the birds use the islands as refuges before moving on to their final destinations. Hunting clubs take advantage of these events and shoot large numbers of downed birds following the passage of these storms. During the 2009 and 2010 fall migrations, Machi did not stop on any of the islands but flew directly from Virginia to Paramaribo, Suriname before moving on to winter near Sao Luis, Brazil. It appears that the encounter with Tropical Storm Maria caused the bird to stop on Guadeloupe. Machi contributed a great deal to what we know about whimbrel migration along the western Atlantic. Satellite tracks of this bird over 4 full migrations (http://www.ccb-wm.org/programs/migration/Whimbrel/whimbrel.htm) linked breeding and wintering areas, defined migration routes, identified important migration staging areas, and demonstrated how these birds interact with major tropical systems. 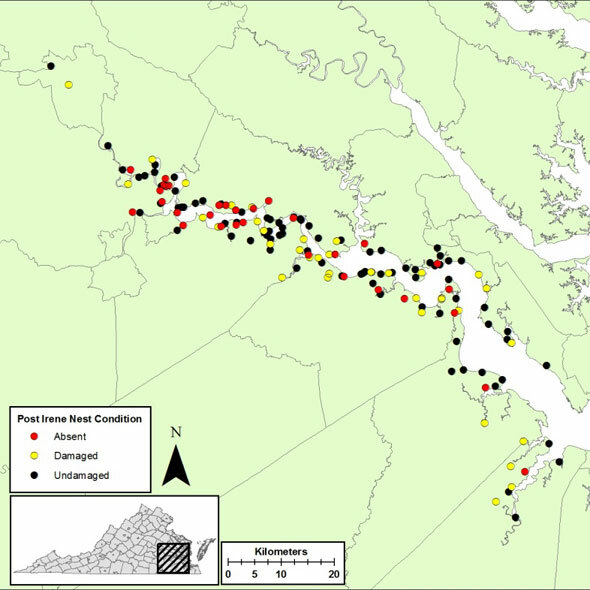 This tracking project is a collaborative effort between The Center for Conservation Biology, The Nature Conservancy, The U.S. Fish and Wildlife Service, Georgia Department of Natural Resources, the Virginia Coastal Zone Management Program, and Manomet Center for Conservation Sciences. Tracking map of Machi (2009-2011).